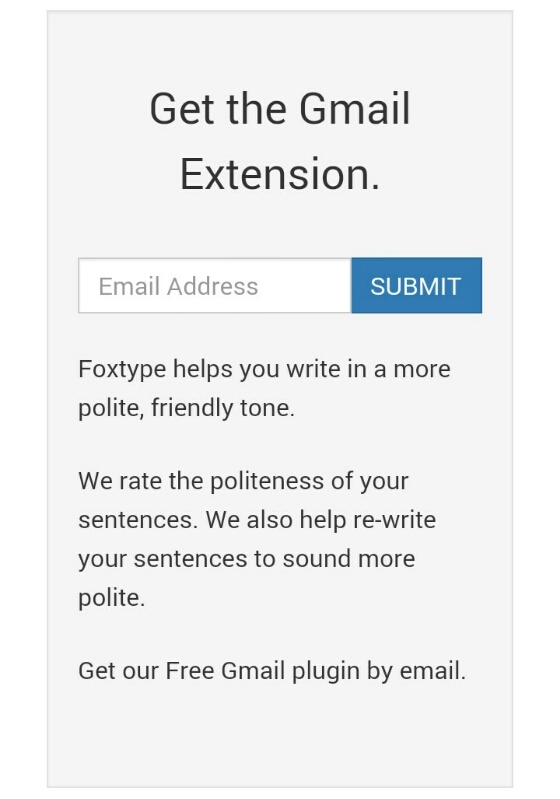 FoxType a check tool that will help us to write message or mail with polite tone in English. In most communication in our daily life, English writing becomes common through social media, working environment via messenger or e-mail. It might be this tool would help us to stay calm as always to the person we are writing or speaking to. 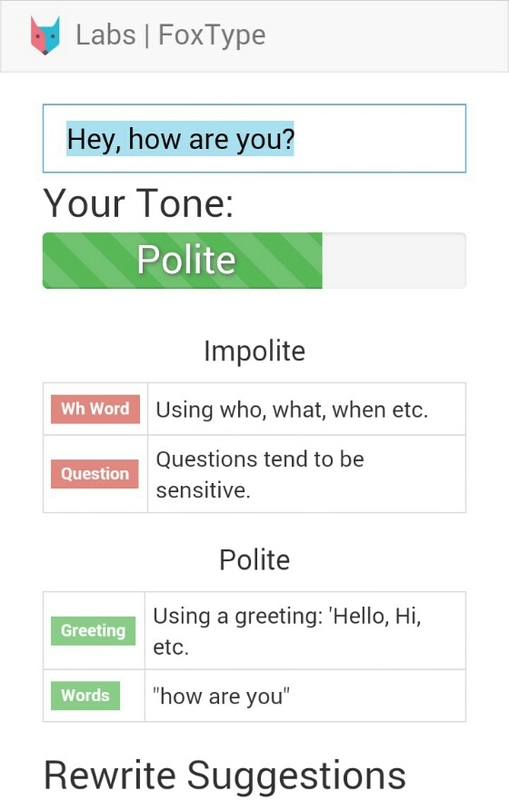 Let’s check our sentences first before sending or speaking, FoxType.